Yeshiva students breathe sigh of relief as Supreme Court accepts request to push off nullification of draft law until after elections. The draft deferment program for full-time yeshiva students will remain in place – for the time being. The Israeli Supreme Court agreed on Sunday to a request by the government that the court’s 2017 decision striking down parts of the draft law be delayed until after this year’s legislative elections, giving the new government time to pass a replacement bill. It is the third time in a row the government has failed to meet a deadline set by the court to pass a replacement piece of legislation, after it found the 2015 amendment to the draft law unconstitutional. While Israel does not have a formal constitution, the Supreme Court has since the Judicial Revolution of the 1990s treated the Basic Laws as a de facto constitution, taking broad powers of judicial review. The court’s decision Sunday comes five days after the previous deadline expired, after the court ruled in December that the government would have until January 15th to pass a replacement bill. Though the court had said at the time that the extension until January 15th would be the last delay it would grant, the subsequent collapse of the government and decision by the Knesset to head to early elections led the court to give a third extension. Under the court’s decision Sunday, the next Israeli government will be tasked with passing a replacement bill settling the status of yeshiva students vis-à-vis the draft. The new deadline has been set for July 28th – more than three and a half months after the April 9th elections, setting aside time for the formation of a new government. At present, the army grants open-ended draft deferrals, renewable annually with no limit, to nearly all full-time yeshiva students enrolled in recognized schools. That system, which evolved out of a more limited deferral program for scholars established shortly after the establishment of the state in 1948, has been criticized by some as a form of de facto discrimination. Supporters of the draft deferrals note that currently less than half of all draft-age Israelis enlist in the IDF, with blanket exemptions granted to Muslim and Christian Arabs, Druze women, and Orthodox Jewish women. The IDF also offers deferrals for university students in some circumstances. 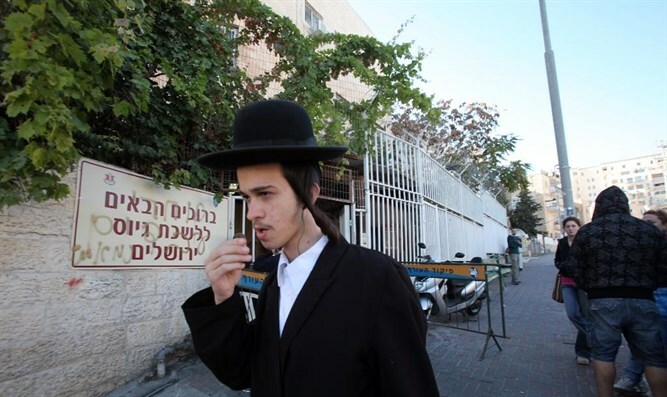 In 2002, the Knesset passed the Tal Law, intended to encourage more haredi men to enlist in the IDF. While it maintained the deferment program’s open-ended renewal system, it offered incentives to enlistees. After a decade, however, the Supreme Court struck the law down as unconstitutional in 2012. Two years after the court struck down the Tal Law, the government passed a replacement amendment to the draft law which limited the draft deferral program for yeshiva students, and imposed tougher sanctions on draft dodgers. A year later, however, after the previous government collapsed, the new coalition repealed most of the changes to the deferral program, largely reinstating the prior system. In 2017, the court struck down the 2015 amendment, granting the state one year to pass a replacement bill.